I love maps! 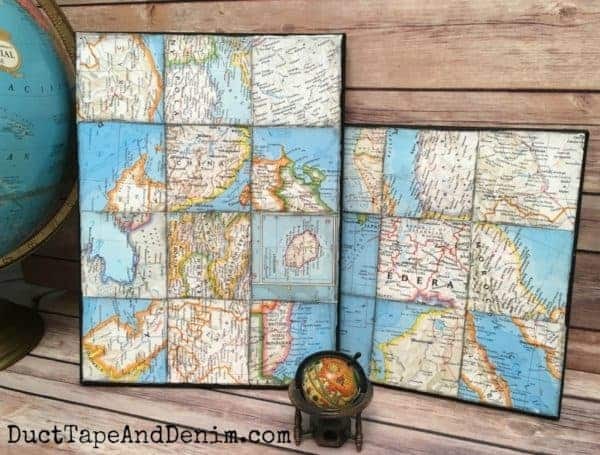 I could have a map in every room. They are beautiful and useful and they add such warmth and charm to a home or to anything really. 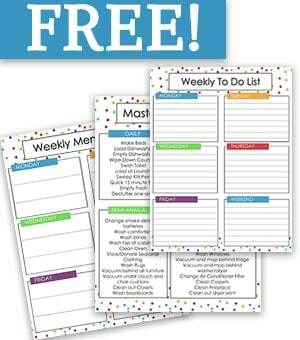 They are a great way to celebrate your travels or to dream of a place you long to go. 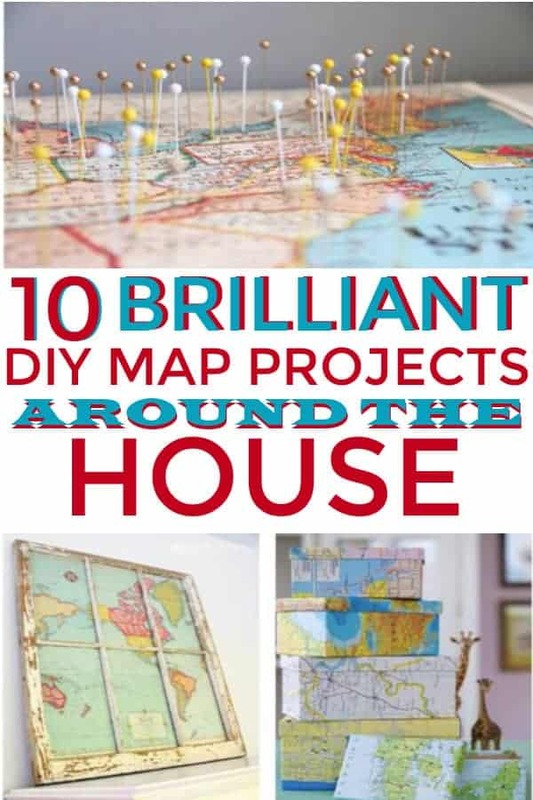 I have found so many wonderful, creative projects some amazing bloggers have created with maps. 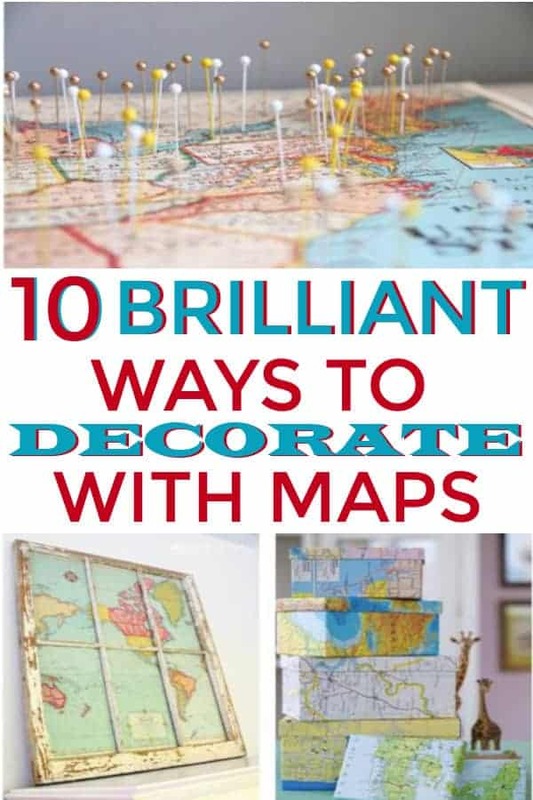 Here are 10 Brilliant Ways to Decorate with Maps! 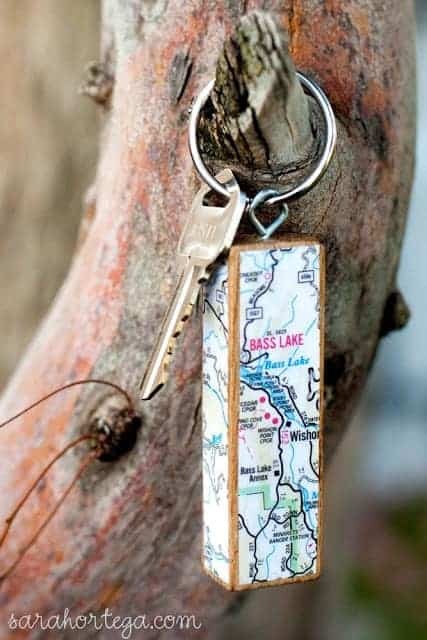 The keychain is adorable and is such a great reminder of where you are from or your favorite place to visit. 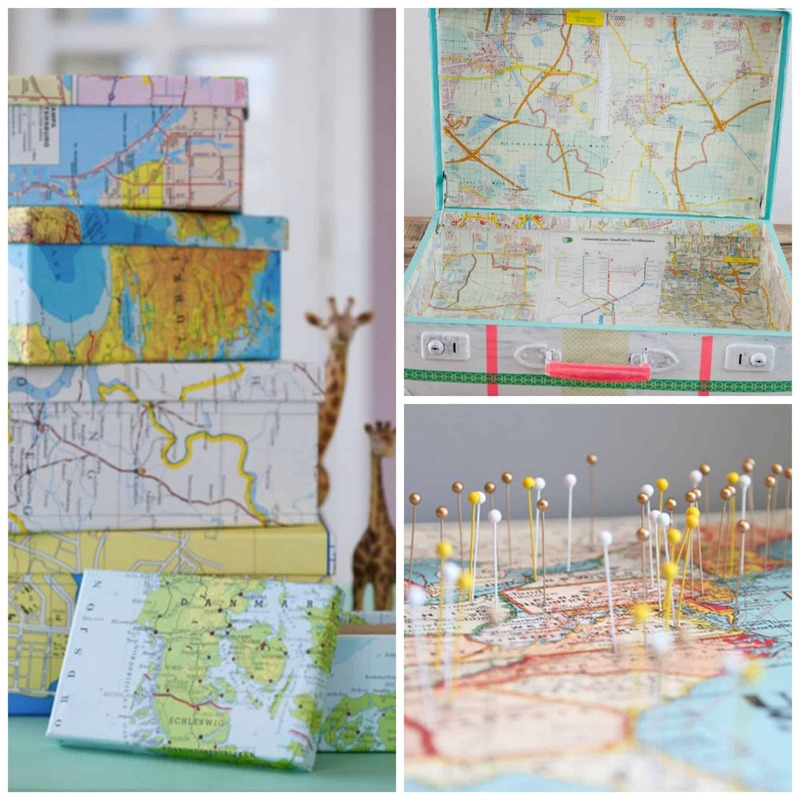 I love to decorate boxes and packages with different kinds of paper and what better way to do this than to use maps. I love the charming look of them! I love this idea. 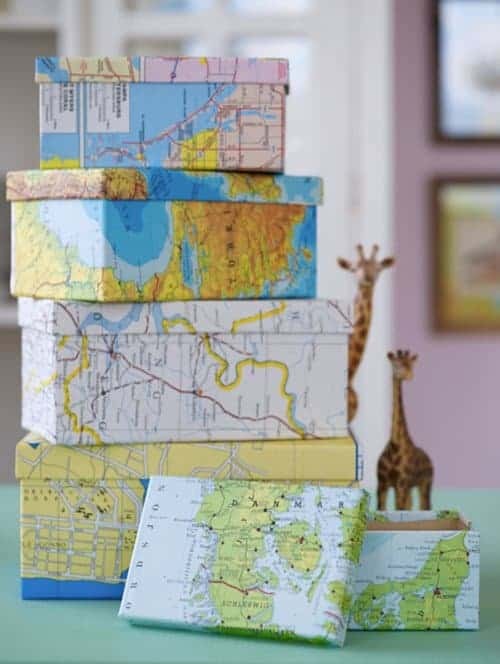 A fun way to track on the places you have been on your travels and then to use it to decorate in your home. This is a wonderful conversation piece as well and I imagine guests will love it. I just fell in love with this canvas. It is stunning and would look so beautiful in my living room! Want to add a little flair to your pictures at home. 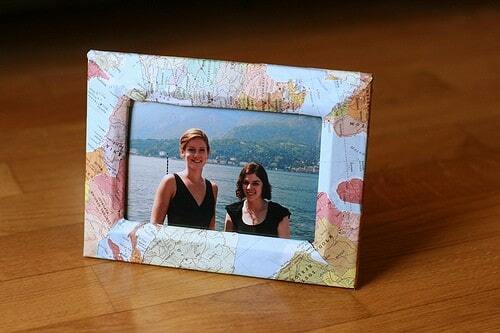 How fun to decorate the frames with maps, especially those vacation pics! 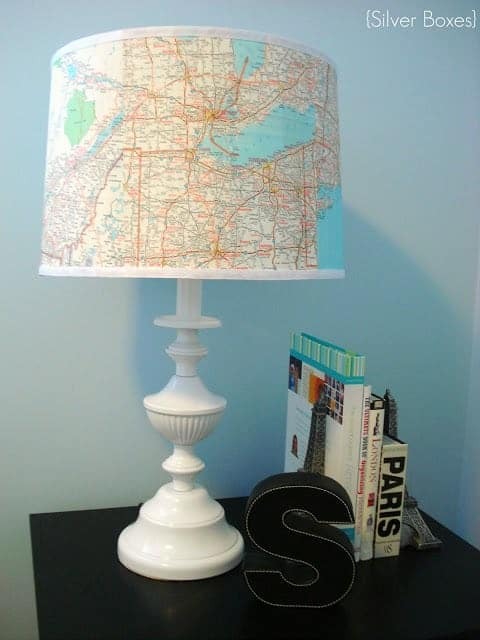 Don’t you just love this beautiful map lamp? It would be beautiful on any table and in any room! 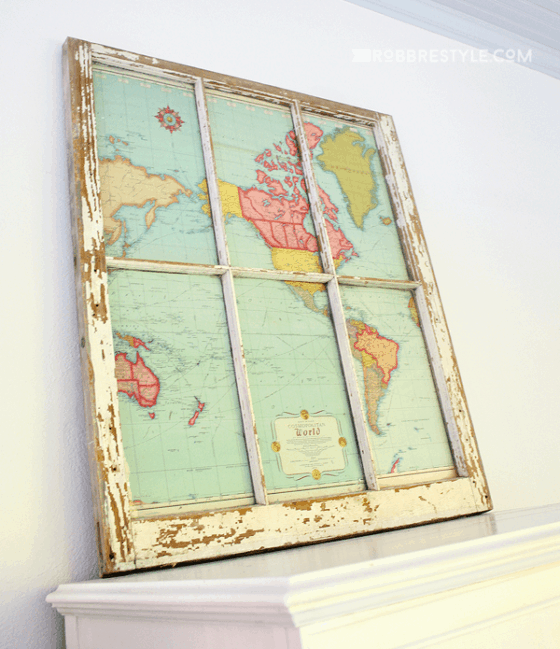 I love the vintage look of this window, what a wonderful idea to fill it with a map. You will have to check out their site, they show many different styles. This is an amazing project you can do. Taking places you have lived and framing them. 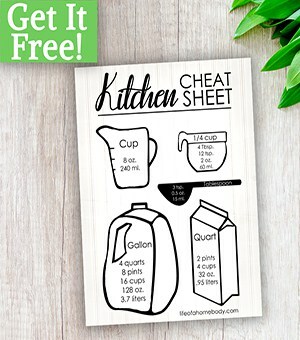 So clever and adds a touch of you in your home. 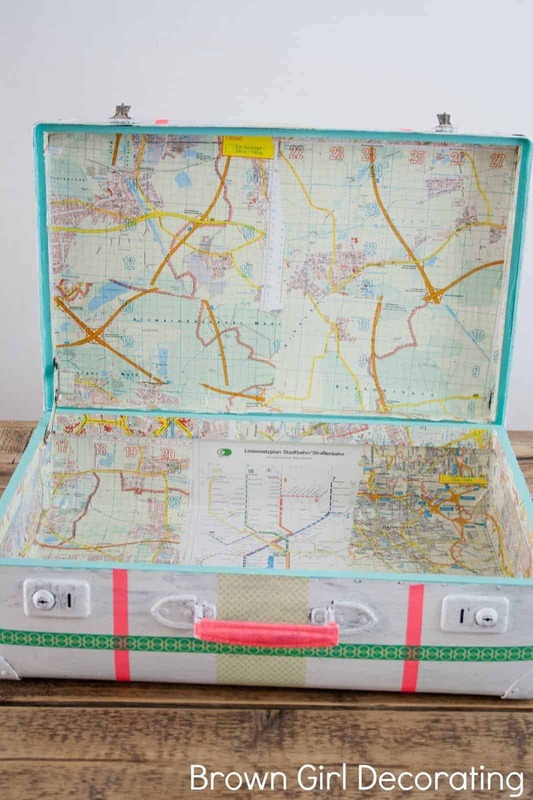 This suitcase is just gorgeous! 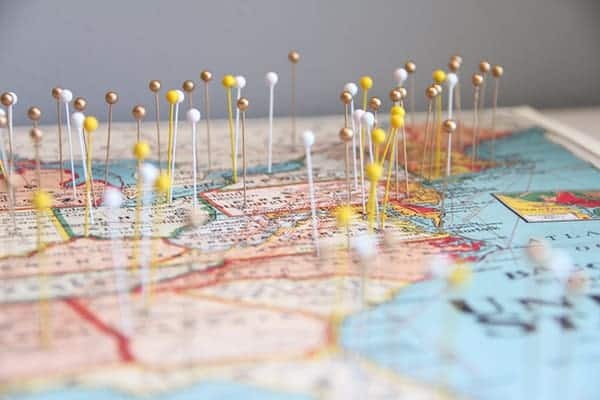 The map goes right along with the whole travel theme so as you are traveling you are reminded of all the places you have been and hope to go. I used to love to wrap my textbooks when I was in high school. We would decorate them with plain paper and draw on them or the comics. 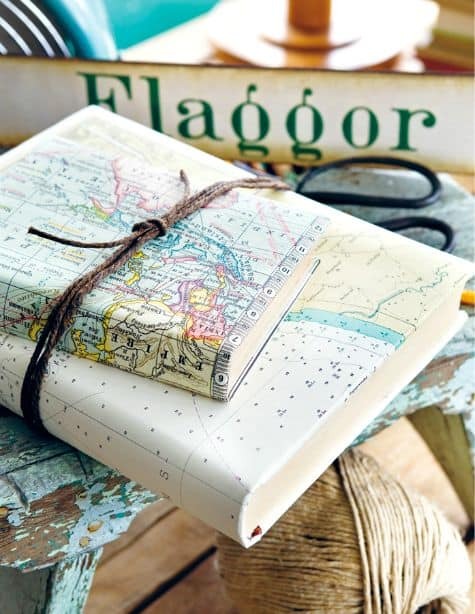 This is even better, wrap them with beautiful maps, makes your books look even more charming! I love the look of a great map! Not only is it wonderful to show you how to get to a wonderful destination but they are also a fun and charming way to decorate. I hope you enjoyed all these wonderful ideas! WANT TO REMEMBER THIS? 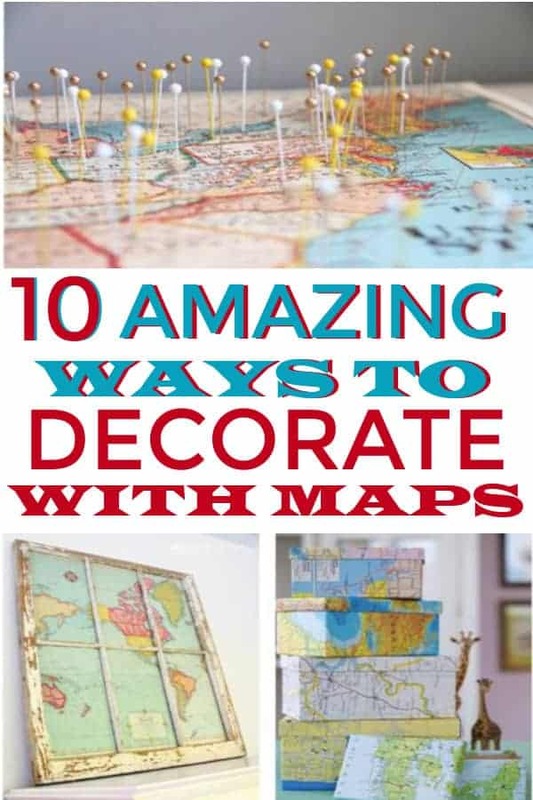 SAVE THIS MAP DECORATION LIST TO YOUR HOME DECOR PINTEREST BOARD!